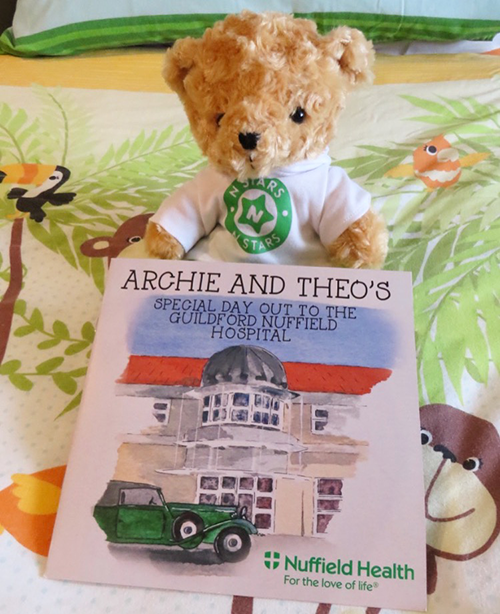 Nuffield Health Guildford Hospital offers a wide variety of children’s services, including day case surgery, pre-assessment appointments, overnight stays where required and paediatric outpatient consultations. Why choose Nuffield Health Guildford? Nuffield Health Guildford Hospital in Surrey is a private hospital with a large team of consultants and specialised children’s nurses that can see children of most ages, for a variety of conditions. Our mission is to provide excellent medical care in a family centered environment while being a centralised base for caring for children. This philosophy is shared by all our staff as we value relationships with our families and enjoy caring for Children & Young People. The goal is to be partners with our parents to help raise healthy children, both physically and emotionally, and with that in mind, we are committed to continuously educating ourselves and incorporating the best of technology to provide excellent care. We do everything we can to make your child's stay as stress-free as possible, leaving you to concentrate on the most important thing for your child - helping them get better. All our rooms are en-suite, we serve a special children’s menu. We have a children’s play area and facilities for a parent to stay overnight. Our consultants all work at the neighbouring Royal Surrey County Hospital. ✓ We are here to offer the reassurance you will need to know your child is in the best possible hands. We pride ourselves on offering your child a detailed face-to-face pre-admission assessment. At this time you and your child are welcome to be shown around the ward and ask any questions you may have. We have an open visitor policy, so your child can enjoy the comfort and support of having friends and family visit anytime. 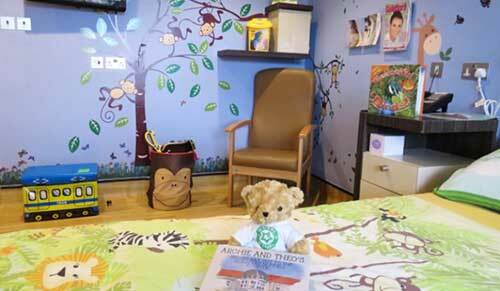 We also provide facilities for parents to stay, friendly nurses and private rooms with en-suite shower rooms. We know some children can be particular about their food, so we offer a special children's food and drink menu to make sure they have food they're used to at home. Nuffield Health Guildford Hospital provides comprehensive, expert care for children and young people and our services include both inpatient and outpatient services, plus a wide range of consultant clinics and surgical care. For your peace of mind, our teams are also trained in emergency care. We perform surgery on children aged 3 - 16 years and we see children of all ages in our Outpatient clinics. Both before and after the procedure you will be given a specially designed children's information pack. After your child goes home a member of the Children and Young Person’s team will contact you to offer support after your child’s surgery and answer any questions you may have.